Lebanese President Michel Aoun will be visiting Moscow on March 25-26 for a summit with his Russian counterpart, Vladimir Putin. The talks will be multi-faceted, dealing with a Russian-engineered return of Syrian refugees from Lebanon, which will be high on the agenda, along with military cooperation and economic investment. A warming of Lebanese-Russian ties is only natural after all, given Russia’s dominance in neighbouring Syria, a country that has historically had the upper hand in Lebanese affairs — even during its times of weakness. One hundred years ago, the modern state of Lebanon was carved out of Greater Syria, and ever since, the fate of the two countries has been incredibly intertwined. One year ago, the Russian Foreign and Defence Ministries announced an ambitious project for the repatriation of 2 million Syrian refugees from neighbouring countries. They were needed to physically take part in the rebuilding of their destroyed homes, and to help project Putin’s image as a problem-solver in the region. Putin wants to take credit for being the person who solved Syria’s refugee problem — starting from Lebanon, which hosts nearly 1.5 million Syrians. Their return has been slow, however, due to fears of arrest by Syrian authorities, and lack of basic services in their towns and villages. Prime Minister Sa’ad Hariri was opposed to it one year ago, claiming that death or arrest awaited them across the border. President Aoun thought otherwise, however, and so did his allies in Hezbollah. 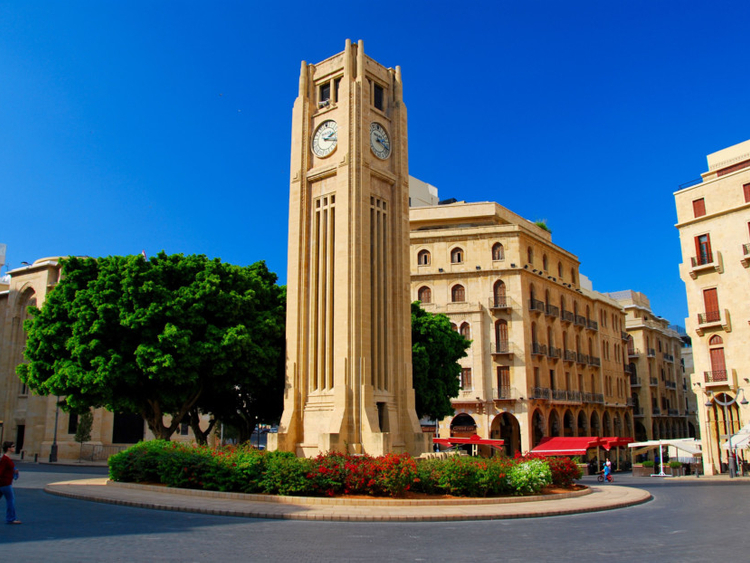 They argued that Hariri wanted them to stay because they were generating money for the Lebanese economy, through a constant cash flow from international donors and the United Nations. Additionally, the majority of them were Sunni Muslims, raising the ire of Hezbollah, who argued that if they overstayed their welcome, these refugees would slowly embed into Lebanese society, tipping the delicate sectarian balance in favour of the Sunni community. Hariri has now seemingly abandoned the project — along with the portfolio of refugee affairs, which went to a protege of the president last January after being in the hands of the Prime Minister’s Future Movement since 2016. The new minister, Saleh Garib, visited Damascus last month despite Hariri’s insistence that no member of his government engages with Syria before a political deal is reached, under UN auspices. He laid the groundwork for a systematic return of Syrian refugees, which Aoun hopes to put into action after his upcoming meeting with Putin. Last April, Aoun’s former Defence Minister Yaacoub Sarrouf travelled to Moscow where on the sidelines of a security council he was expected to sign a military agreement with the Russians. It had been proposed by Prime Minister Dmitry Medvedev in February 2018 at the urging of President Putin. It called for the opening of Lebanese airspace, airports and naval bases for the Russian military, who are already stationed a stone’s throw away at Hmeimeem in Syria. Putin was also offering 15 years of interest-free delivery of Russian arms to Beirut, worth $1.5 billion (Dh5.51 billion), along with intelligence sharing, and the training of Lebanese troops on counter-terrorism. The presidential summit is boosting econ-omic relations one month after the Russian-state owned firm Rosneft was granted a 20-year year licence to manage and upgrade an oil storage facility in Tripoli. Earlier, Russia’s Novatek joined France’s Total and Italy’s ENI in drilling for oil in the eastern Mediterranean — an operation strongly contested by the Israelis who claim that the drilling would be taking place in a block claimed by both countries. Mike Pompeo was recently in Beirut, expressing US support for Israel on this matter, and urging Lebanese officialdom to reconsider. His calls fell on deaf ears, however, in a country that is shifting slowly, perhaps even at a snail’s pace, into Russia’s orbit. Hezbollah insists on going ahead with the drilling, and so does Michel Aoun. Meanwhile, bilateral trade between the two countries currently exceeds $500 million, while Lebanon imports $900 million worth of Russian goods annually, mainly oil and hydrocarbons. Aoun has plenty of reasons to invest in the relationship — especially that the Russians don’t pressure him into taking impossible actions, like “curbing” the influence of Hezbollah or clipping its wings — as Pompeo recently expressed in Beirut. Sami Moubayed is a Syrian historian and former Carnegie scholar. He is also the author of Under the ‘Black Flag: At the frontier of the New Jihad’.